allround geek: A fantastic trailer for "Fantastic Mr. Fox"
A fantastic trailer for "Fantastic Mr. Fox"
Wes Anderson (director of The Royal Tenenbaums, The Life Aquatic with Steve Zissou and The Darjeeling Limited) is making a stop motion animation film based on the children's novel by Roald Dahl. The voice cast is stellar! The film will feature the voices of Meryl Streep, George Clooney, Willem Dafoe, Bill Murray, Owen Wilson, Jason Schwartzman, Michael Gambon, Adrien Brody, Brian Cox, Anjelica Huston and Wes Anderson himself. Now that is some SERIOUS talent for just one film. Combined with the excellent craftsmanship of the puppets and sets evident from the trailer I'd say we are in for a unique experience. 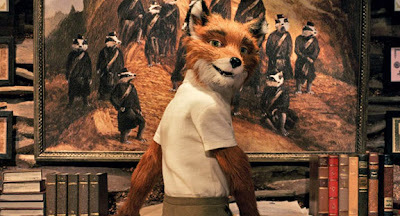 I want to see how Wes Anderson handles an animated film(ok, stop-motion film) after all his other films about dysfunctional families and weirdo characters. I must confess that I really liked his previous filming style and I am worried about what he will try to do after this one.